What is EMDR and What should I expect? EMDR stands for Eye Movement Desensitization and Reprocessing. 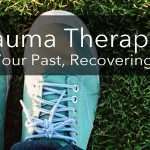 This research-based therapy technique is most beneficial to those seeking treatment for trauma and anxiety. When someone experiences an extreme negative reaction or feeling in response to a certain situation or memory, EMDR is used to help replace the negative emotions with more relaxed reactions. Ultimately, EMDR offers relief and a more positive outlook in facing similar types of stressors. Instead of the usual talk therapy to work through the problem, EMDR trauma therapy uses bilateral stimulation in the form of bilateral eye movements (alternatively, auditory tones, hand buzzers, and/or knee taps can be used as stimulation). What does this mean? You will follow your therapist’s fingers, light bar, or buzzers moving back and forth while you think about the instance of the event that is causing the extreme distress. This stimulation will be continued and repeated as you focus on and describe the feelings associated with the anxiety-producing memory. This is done in order to recreate the anxiety in a purposeful manner to help you become desensitized to the stressor. It may seem daunting to continuously focus on the trauma, but after multiple sets of the bilateral stimulation paired with coaching from your EMDR therapist, the anxiety from the memory will reduce. Facing the memory and the fear or anxiety it elicits is the desensitization part of EMDR therapy. The mental energy required to focus on the bilateral stimulation takes away from the energy needed to feel the anxiety of the memory. This allows you to feel less anxious or afraid. We’ve had clients who reported their anxiety as a 10 before these sessions and say their anxiety has gone to a 1 or even 0 afterward! Reprocessing is about you imagining how you would like to feel about the traumatic memory, person, or topic. As you are doing the bilateral stimulation, you focus on how you would like to feel about the memory in order to replace the existing anger, anxiety, fear, etc. As a result, you are able to actually feel the way you have wanted about the memory, person, or situation. Eventually, you are able to leave therapy feeling positive about the very scenario that leads to so much anxiety before. This technique is not a one time fix all, it will take multiple sessions. This gradual process can remove the anxiety from the stressor that was impeding your life and also give you a sense of accomplishment. 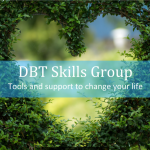 Set up an appointment with Jennine, who is EMDR certified, to get started! Currently enrolled in the master's program for marriage and family therapy at USD, I am captivated most by the importance of relationships and emotions and their impact on our everyday lives. Both relationships and our emotions help shape who we are as a person. "Relationship" doesn't just mean partner, but rather connections of all kinds. This means everything from strangers, to friends, to partners, and most importantly, the relationship you have with yourself. Emotions are what underlies our thoughts and behaviors, they are the key to understanding ourselves.